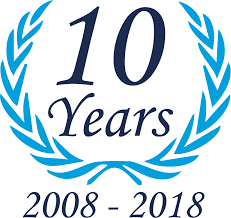 Senior Housing Solutions, the first locally owned senior housing placement company in Southwest Florida is celebrating its 10th anniversary. In the last year, the company has successfully expanded its market base to cover both Collier and Lee counties. In addition, consumers have access to a free online Preferred Provider Network of services for seniors. This expansion resulted in 38 percent revenue increase in the first quarter of 2018 compared to the same time frame in 2017. “We started in 2008 when our local economy was taking a nosedive. To start something during that time took a great deal of fortitude and perseverance,” said Bruce Rosenblatt, founder of Senior Housing Solutions. In addition to their free referral service, Senior Housing Solutions has also organized senior housing bus tours as a way for people to tour senior living properties in the area and produced educational seminars for many organizations, churches and civic groups. Rosenblatt also authors a senior housing column for the Naples Daily News. “We are passionate about providing knowledgeable advice to our clients. Therefore we stay current on significant trends in the marketplace and quality of care at the various facilities in the area.” The firm engages with other senior-related organizations including the Leadership Coalition on Aging, CAMEO of Lee County and Naples Interagency Council. The Preferred Provider Network is available for free to the public at seniorhousingsolutions.net.